Sustainable homes and sustainable living is not just a trend, it is a reality and here to stay. And, in 2018, we move that much closer as new technologies and products emerge and more homeowners and homebuilders go sustainable. These 18 Trends for Sustainable Homes in 2018 provides momentum and sustainability for growth and keeping the movement on a steady path. The National Association of Realtors® surveyed Realtors® and found that over half have clients who are interested in sustainable homes and practices. As the demand for sustainable homes and sustainable living grows, so does the conversation between homebuyers, sellers, and Realtors®. 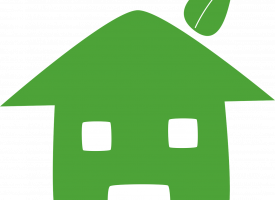 In this article, More buyers want green homes, real estate agents say, tells us that not only are Realtors® listenings, so are builders, suppliers, local communities and neighborhoods, and more. My personal network and commitment to sustainable living have evolved from my experiences with ongoing classes and workshops in emerging “green” ideas, networking with resource vendors and environmental groups, research, staying abreast of current political issues, and volunteering in our community. I look forward to sharing with you my own knowledge and skills and the cumulative energy of the American Dream team.